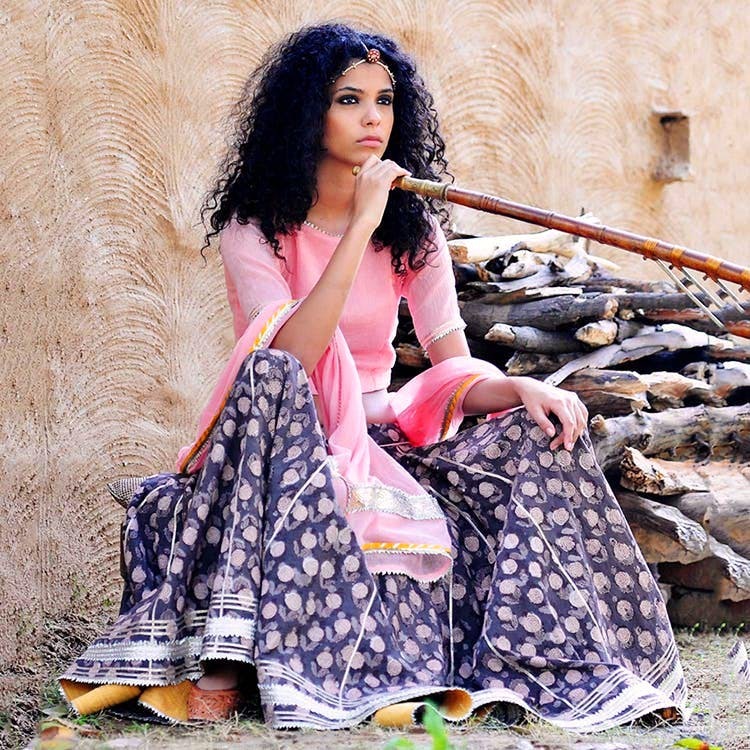 Khara Kapas, meaning 'pure cotton' in Hindi, is a brand that believes that well-designed clothes made from pure fabrics can bring happiness into people's lives. We certainly think so. So, let's delve deeper. The brand believes in the versatility of cotton variants and Indian handloom and does their bit in promoting fair trade by working closely with artisans and weavers from across the country. Their design philosophy revolves around the idea of minimalism, clean cuts and relaxed silhouettes in pure fabrics, earthy tones and Indian motifs for prints. Their range varies from dresses & stoles to sarees, Ahimsa leather bags, footwear, festive gifts, and even occasion wear. The price begins at a humble INR 1,000 and can go up to a few thousands. They have a number of fun collections that stand out, even in footwear, so take your pick and place that order! They also have gift cards that start at INR 1,000. A lot of the team at Khara Kapas have pets so they only use cruelty-free leather and ahimsa leather.